In our last article we have seen the glimpse of some of the best archaelogical buildings of Maharashtra. These archival monuments like Karla Caves, Churchgate, Janjira Fort and Aga Khan Palace will draw you back to the bygone ages of this vibrant state. Maharashtra has witnessed innumerable historical changes since ages. It has remained evidence to the ups and downs of various dynasties as well as their renowned rulers. From the tribal community of Nags, Munds and Bhils to the age of Shivaji and finally to the present day, historical monuments in Maharashtra has remained a testament to every revolution that went through the state. Monuments in India are of huge significance to the tourists in the nation as well as round the globe. Not only do they bear archaeological value but have grown up to become a favourite hub of photographers. Various forts, caves, statues and buildings portray the period, architecture and the then society during which it was constructed. Oldest Marathi inscriptions found at Shravanbelgola in Karnataka dates back to 10th century. This historical monument was constructed during the British rule in India. This mighty masterpiece overlooks the Arabian Sea. It was raised to welcome King George V and Queen Mary. It has Indo-Saracenic style, combining both Hindu and Muslim architecture, which is also considered to be one of the routes to access India. Built of yellow basalt, it has huge halls on both the sides which can accommodate 600 people. It is one of the most important archaeological and historical sites of Maharashtra. Constructed by Rashtrakuta dynasty, it is presently a World Heritage site. There are 34 caves (12 Buddhist, 17 Hindu and 5 Jain) which are artistic presentations of rock cut architecture. They were constructed during the reign of Chalukya, Kalachuri and Rashtrakuta dynasties. They were built during 5th -7th century. A palace fort in Pune, Shaniwar Wada was one of the important seat for the Peshwas of Maratha empire. It was ruined and left in a dilapidated condition in 1828 but is presently maintained and attracts tourists from all over the world. The foundation was laid by Peshwa Baji Rao I. It has five gates namely Dilli Darwaza, Mastani Darwaza, Khidki Darwaza, Ganesh Darwaza and Jambhul Darwaza. The Town Hall also known as Tondal is where the Asiatic Society of Mumbai is located. It was founded by Sir James Mackintosh and was constructed in 1830. It is one of the heritage structures which has Greek and Roman architectural styles. Eight Doric columns in the portico gives it a mighty stature. There are 30 steps which lead to the hall. It is one of the significant forts in South Mumbai. 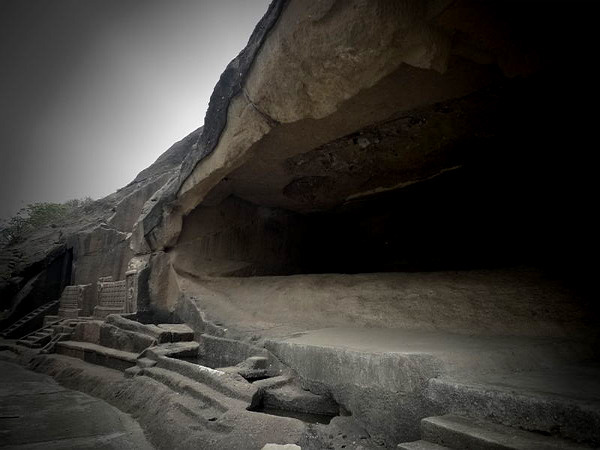 Housing 300 rock-cut Buddhist caves, this historical monument in Maharashtra dates back to 2nd Century BC. The paintings and sculptures are some of the finest specimen of Indian art form. Narrating Buddhist religious fables, they mostly depict Jataka tales. It is now a part of World Heritage site under UNESCO. It is situated near Jalgaon which is easily accessible from Aurangabad. The maqbara or mausoleum was constructed by Aurangzeb in memory of his first wife. It was built in 17th century and resembles Taj Mahal to the extreme. The tomb though magnificent well expresses the grand architecture of the Mughals being reduced to some simple forms. Marble for its construction was brought from Jaipur. It has a charbagh layout. It also houses a mosque in the western direction. Also known as Victoria Terminus, it is not only a historic station but is considered is a UNESCO World Heritage site. This monument in Maharashtra has the architecture of Victorian Italianate Gothic Revival. It also resembles traditional Mughal buildings. It was constructed in 1887 to celebrate the Golden Jubilee of Queen Victoria. It was renamed to pay a tribute to the brave founder of Maratha Empire. Pandavleni Caves comprises of 24 caves which dates back to 3rd century BC. They are dedicated to Hinayana Buddhist sect. The caves are dominantly Viharas while 18th cave is Chaitya. These caves are also sought as trekking spots. Amazing sculptures and inscriptions within the caves narrate the bygone history. Steps are carved out to trek easily to the caves. Daulatabad is a fort city of Maharashtra that dates back to 14th century. It was once the capital of Tughlaq dynasty reigned by Muhammad bin Tughlaq and was annexed into the Delhi Sultanate. It is also known as hill fortress of Devagiri which stands with all might and strength. This impregnable fort was a part of various empire like the Mughals, the Marathas, the Peshwas and lastly the Nizams. They are set of 109 rock- cut monuments situated in Borivali. Amidst lush greenery of Sanjay Gandhi National Park, the caves are located. They are dedicated to Buddhist culture. They date back to 1st century BC. Most of the caves are viharas which were supposedly helpful for living, studying, and meditating. It was an important university under the reign of Kushanas and Maurayan empire. Situated within the campus of University of Mumbai, this clock tower stands upright at a height of 280 ft. It resembles the Big Ben of London. The architecture of this monument has an amalgamation of Gothic and Venetian styles. Kurla stone has been used for the construction. It also possesses a stained glass window. The clock chimes a particular tune every fifteen minutes which varied to sixteen different tunes during the British Raj.